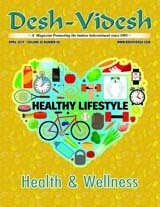 This issue of Desh-Videsh is a special edition covering Indians living in America. I would like to take this opportunity to discuss an individual who was not born in India, nor was born as a Hindu, but he is more Indian than many Indians I know and even more Hindu than many Hindus I know. 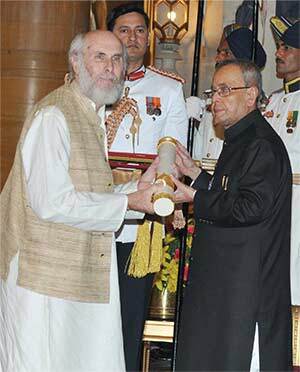 The person is none other than Padma Bhushan Dr. David Frawley, also known as Vamadeva Shashtri. Dr. David Frawley was born in Wisconsin as a Christian. He comes from a Catholic background where his uncle worked for a Christian missionary. When he was nine years old, he taught himself all the constellations in the sky. 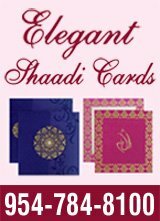 He really enjoyed meditating under the stars, which led eventually to an interest in astrology and Jyotish. He began to read works by Swami Yogananda and B.V. Raman. Dr. Frawley did not find answers to his questions about life, religion and spirituality in Christianity. Then he studied other philosophies such as East and West Europeans, Egyptian, Islam, Buddhism, and Hinduism. He found the works of Aurobindo and Raman Maharshi very insightful. He studied Hindu Dharma and its philosophy for almost 20 years before becoming Hindu in 1991 with a new name, Vamadeva Shashtri. In 2008, Dr. Frawley married well-known author and teacher of the Shakta tradition, Shambhavi L. Chopra, author of the best-seller, Yogini: Unfolding the Goddess Within. 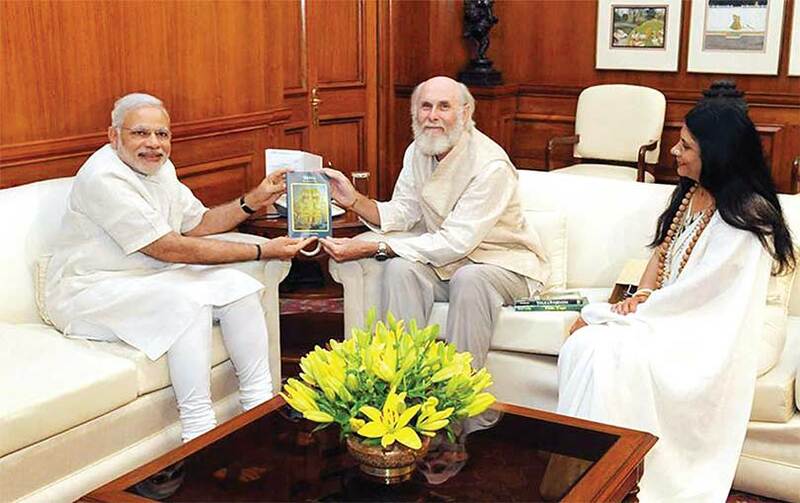 Together they are doing excellent work through the American Institute of Vedic Studies, which was founded by Dr. Frawley. Chopra brings a strong element of bhakti and sadhana to their work together. 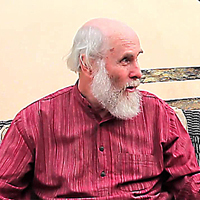 In 2014, Dr. Frawley received a PhD from Swami Vivekananda Yoga Anusandhana Samsthana in Bangalore, India. In 2017, he received a second PhD from Dr. Ram Manohar Lohia Avadh University in Faizabad, India. In 2015, he was a rare recipient of the prestigious Padma Bhushan award, one of the highest civilian awards granted by the government of India. The award is given to the individual for distinguished service of a higher order to the nation. In his books, The Myth of the Aryan Invasion of India and In Search of the Cradle of Civilization, Dr. Frawley criticizes the 19th century racial interpretations of Indian prehistory, such as the theory of a conflict between invading Aryans and Dravidians. He also has rejected the Aryan Invasion Theory and supported the Indigenous Aryans theory. 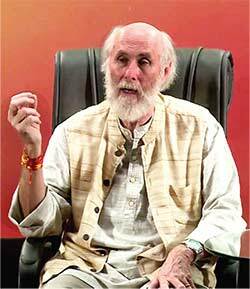 A prolific author, Dr. Frawley has written over 50 books on various subjects related to Hinduism, Yoga and Ayurveda over the last 30 years. 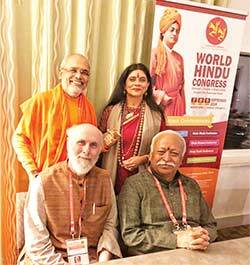 He also has lectured at places such as Ayurvedic, Yoga and Vedic Astrology schools, Yoga ashrams, universities, and Hindu and Vedantic associations in India. 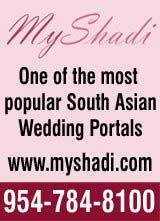 He has written many articles for various newspapers, magazines and journals. He continues to traveled and teach all over the world including Europe, South America, and North America sharing his knowledge and love for learning.